(cold, wind), making lip always soft, elastic and silky smooth. 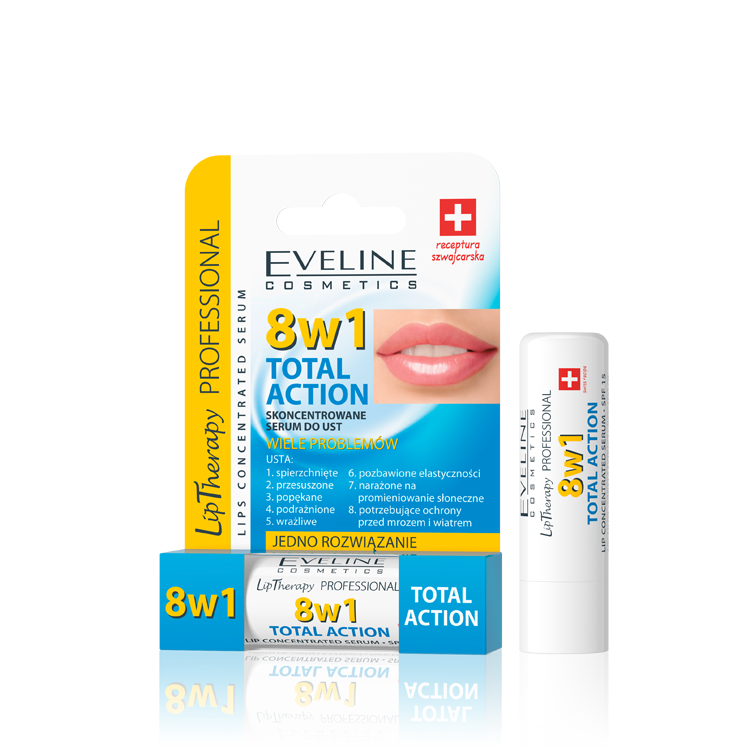 The formula of Concentrated Lip Serum 8 in 1 Eveline Lip Therapy Professional is enriched with argan oil, called the elixir of youth, as well as vanilla and avocado extracts that stimulate collagen synthesis in the skin making lip firmer and more elastic. The product is dermatologically tested.